Home » Original Article » Transperitoneal laparoscopic pyeloplasty in children: does upper urinary tract anomalies affect surgical outcomes? Transperitoneal laparoscopic pyeloplasty in children: does upper urinary tract anomalies affect surgical outcomes? 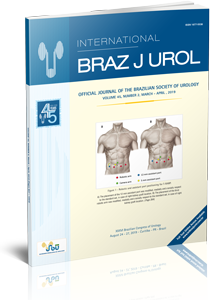 Objective: to assess the feasibility and outcomes of laparoscopic pyeloplasty in children with complex ureteropelvic junction obstruction (UPJO) and compare to children with iso-lated UPJO without associated urinary tract abnormalities. Material and Methods: Medical records of 82 consecutive children submitted to trans¬peri-toneal laparoscopic pyeloplasty in a 12-year period were reviewed. Eleven cases were con-sidered complex, consisting of atypical anatomy including horseshoe kid¬neys in 6 patients, pelvic kidneys in 3 patients, and a duplex collecting system in 2 patients. Patients were di-vided into 2 groups: normal anatomy (group 1) and complex cases (group 2). 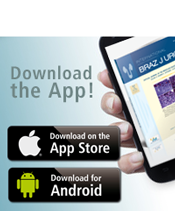 Demographics, perioperative data, outcomes and complications were recorded and analyzed. Results: Mean age was 8.9 years (0.5-17.9) for group 1 and 5.9 years (0.5-17.2) for group 2, p=0.08. The median operative time was 200 minutes (180-230) for group 1 and 203 minutes (120-300) for group 2, p=0.15. Major complications (Clavien ≥3) were 4 (5.6%) in group 1 and 1 (6.3%) in group 2, p=0.52. No deaths or early post¬operative complications such as: urinoma or urinary leakage or bleeding, occurred. The success rate for radiologic improvement and flank pain improvement was com¬parable between the two groups. Re-garding hydronephrosis, significant improve¬ment was present in 62 patients (93.4%) of group 1 and 10 cases (90.9%) of group 2, p=0.99. The median hospital stay was 4 days (IQR 3-4) for group 1 and 4.8 days (IQR 3-6) for group 2, p=0.27. Conclusions: Transperitoneal laparoscopic pyeloplasty is feasible and effective for the management of UPJO associated with renal or urinary tract anomalies.